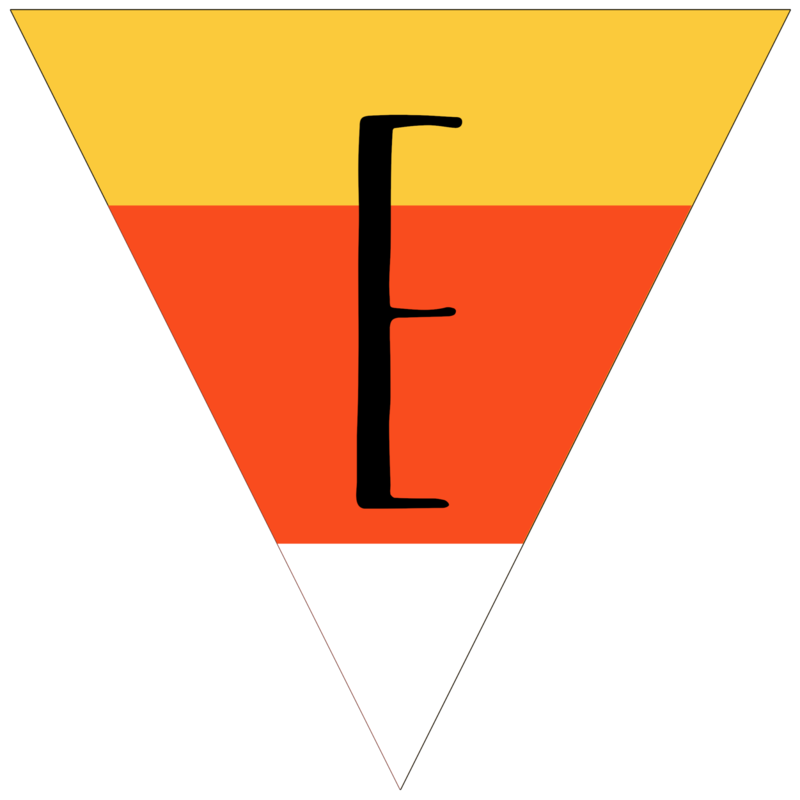 I had a lot of fun creating these free printable Halloween banner candy corn letters. 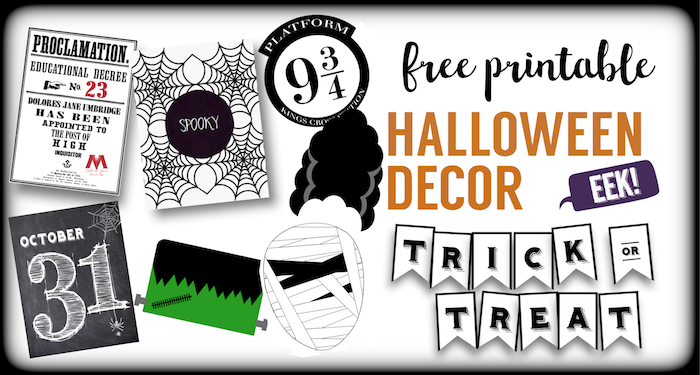 These are perfect easy Halloween decorations. 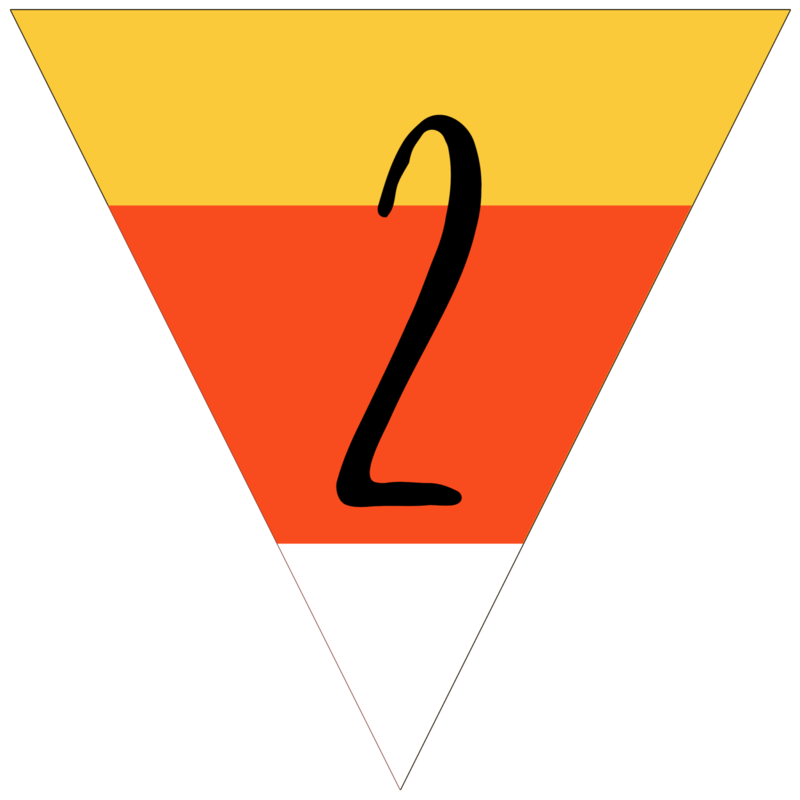 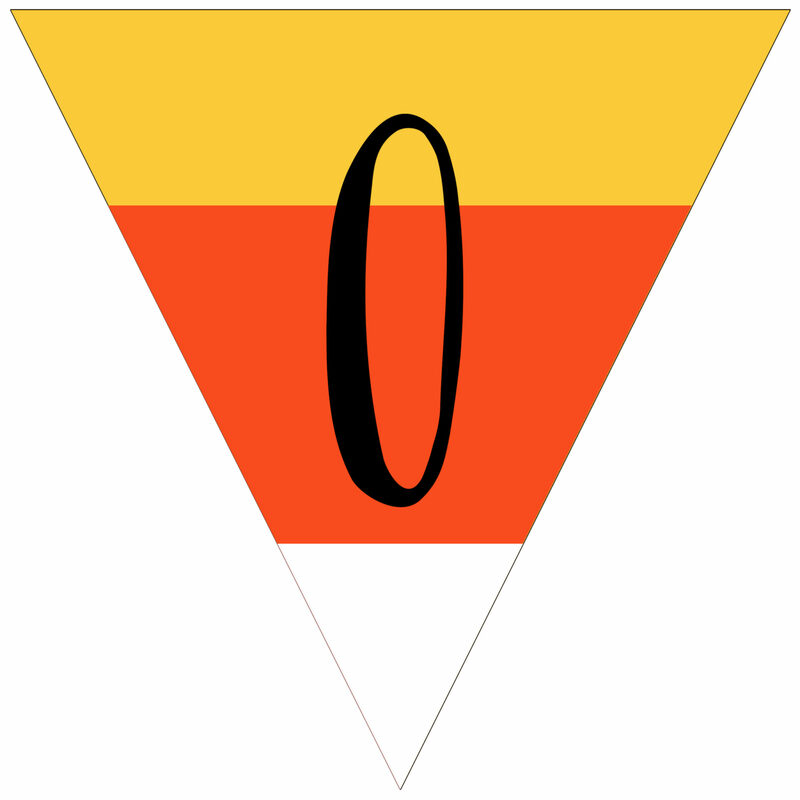 You can hang just a blank candy corn banner or you can write a message like, “Happy Halloween,” “Spooky,” or “Boo”. Or you can use PicMonkey, a , a free website for editing images, to add letters in another font or add your own images such as a silhouette of a witch or a pumpkin. 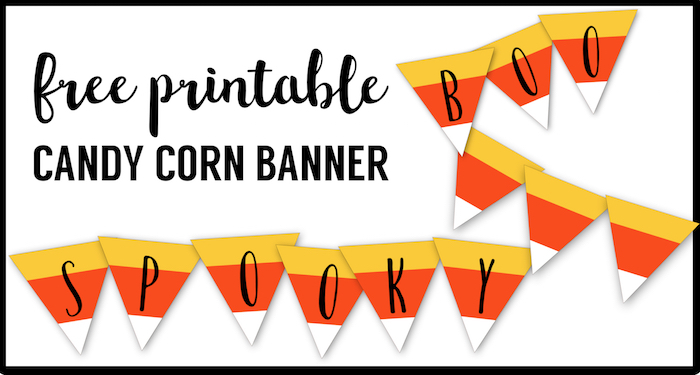 This banner is currently less than $2 on Amazon so if the price stays the same you might want to just be lazy and order this candy corn banner. Candy Corn Printable Banner Letter – ! Candy Corn Printable Banner Letter – ? 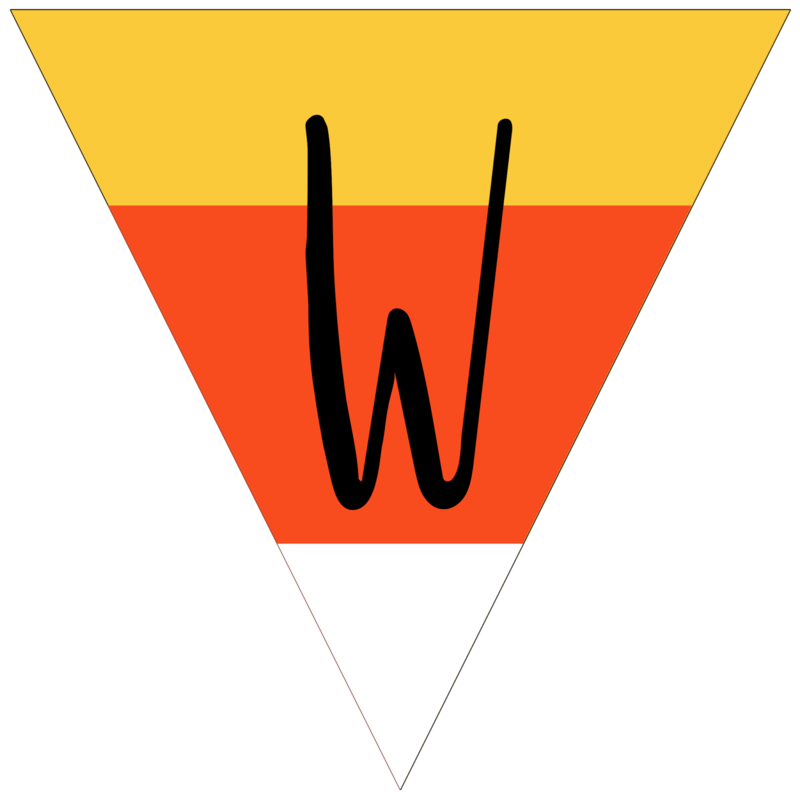 Don’t forget to check out PicMonkey a free website where you can easily customize these Free Printable Halloween Banner Candy Corn Letters. If you want a little more guidance then check out our tutorial on how to use picmonkey. 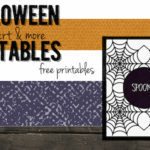 Here is a roundup of all of the fun Halloween printables that we have for you to use to decorate. 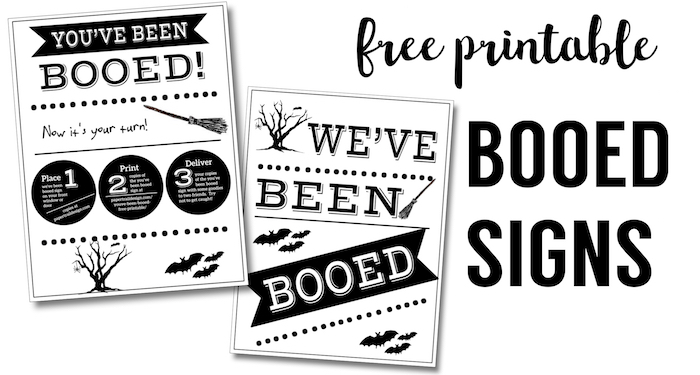 Have fun doing this you’ve been booed activity and sneaking around leaving treats at a friend or neighbor’s house. 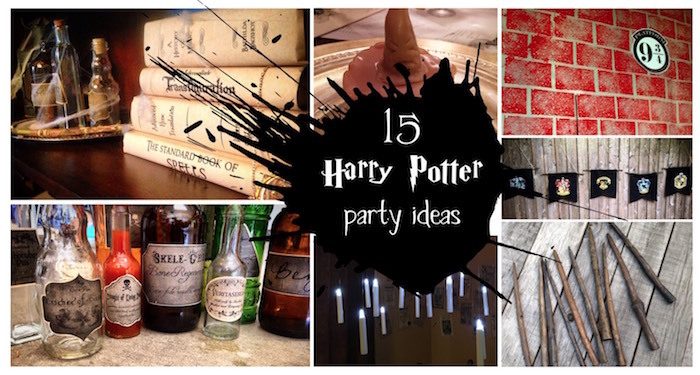 These Harry Potter ideas make for some fun Halloween decor as well.